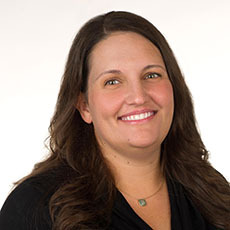 Jennifer Ambuehl is a Senior Trial Attorney in the Bank Integrity Unit of the Department of Justice’s Money Laundering and Asset Recovery Section in Washington, DC. As part of the Bank Integrity Unit, Ms. Ambuehl is responsible for prosecuting criminal violations of the Bank Secrecy Act, U.S. economic sanctions and money laundering laws committed by financial institutions and their employees. In this role, she has prosecuted some of the largest financial institutions in the world. Her prosecution of BNP Paribas resulted in the first guilty plea by a global bank to large-scale, systematic violations of U.S. economic sanctions and BNP Paribas’ forfeiture of $8.9 billion. Her prosecution of Citigroup resulted in its subsidiary accepting responsibility for its criminal violations of the Bank Secrecy Act and forfeiting $97 million. Prior to joining the Bank Integrity Unit, Ms. Ambuehl was part of the Money Laundering and Forfeiture Unit, where she pursued the civil and criminal forfeiture of assets related to complex international crime including over $6 million in assets belonging to a member of Al Qaeda, hundreds of millions of proceeds of Allen Stanford’s massive Ponzi scheme, in addition to the proceeds of securities fraud, health care fraud, and narcotics trafficking. She has also spent time as a Special AUSA in the District of Columbia’s Asset Forfeiture and Money Laundering Section.